Bart: What did you get her, Dad? Homer: A…very…thoughtful gift…but it’s a surprise! It’s THAT time of year again. I’ve been prepping family shopping lists, and while I was at it, I put together some DIY-friendly gift ideas. These might be good for someone on your lists…or maybe it’s time to treat yourself? Either way, these stocking-stuffers are both cool and easy on the wallet. I saw these cool pliers in a This Old House slideshow the other day, and I can’t get them out of my mind! Is this not the sexiest hand tool you’ve ever seen?? The wiggly handle gives fine control, while the jaws can either grip or snip. Get ’em at Lee Valley for about $15. I gotta get me some of these. Only I’d want to wear them all the time because I’m always dropping stuff. 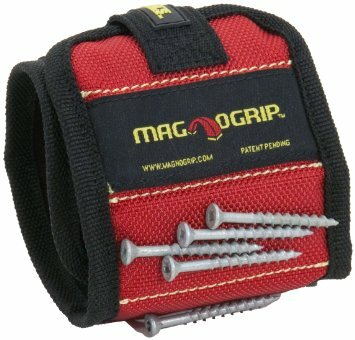 There are lots of versions, but Amazon has the MagnoGrip shown above for under $10. The Kev gave me one of these for my birthday this year (among girlier things), and they are so slick. 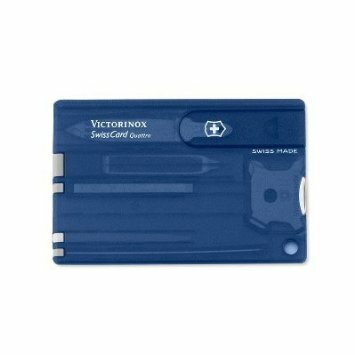 They are the shape of a credit card, so they are easy to stash, but they include all sorts of gadgets. Mine has a magnifying glass, a screwdriver and a flashlight, among a bunch of other stuff. The Swiss Army Quattro (above) is a good one for about $16; there are other examples for more and less money. It’s well-documented that I generally don’t like to wear gloves, but I am partial to nitrile. I recently discovered dipped gloves, which are great for gardening and DIY. 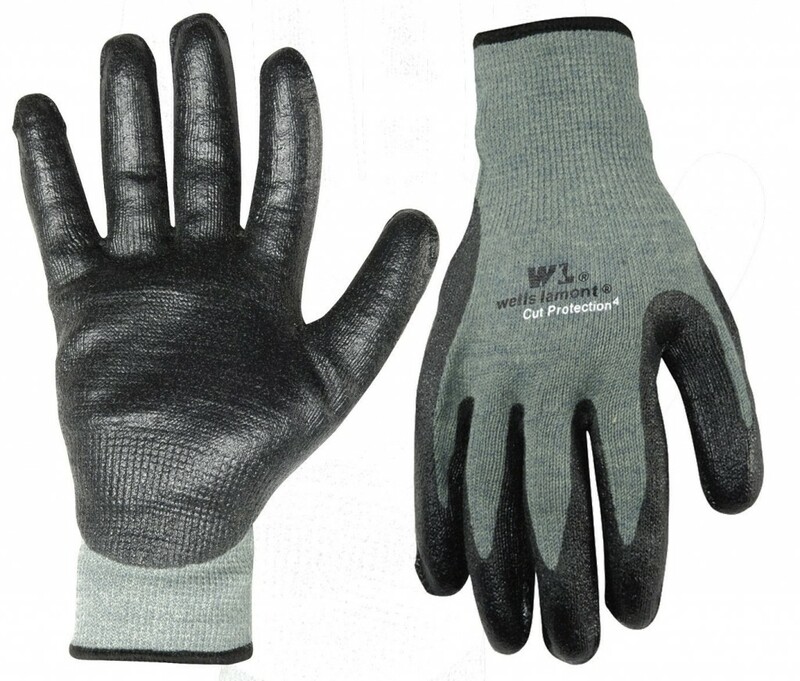 The fingertips and the inside of the hands are nitrile, while the backs are breathable fabric. When they fit snugly, I can almost forget I’m wearing gloves. The ones shown below are about $10 on Amazon. As an Anglo-American couple, Kev and I share an affinity for Bill Bryson, an Iowa-born writer who has spent much of his adult life in England. (If you are similarly situated, check out Notes From a Small Island for insights and laughs.) Once known as a travel writer, Bryson is now perhaps better-known as the Guy Who Writes About Anything and Everything. And that includes things around the house. At Home: A Short History of Private Life covers the obscure backgrounds of the rooms and items we use every day. 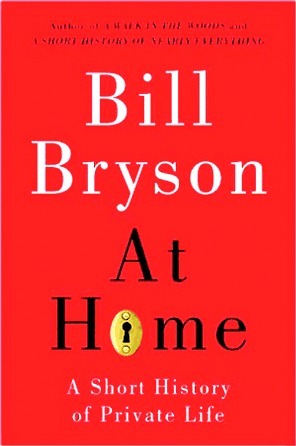 At Home is about $10 on Kindle, and around $15 in softcover. So there you go — some cheap and cheerful ideas for the home improvers on your gift list. If you have any to add, please leave a comment. Happy shopping! This entry was posted in Family, Repair & Maintenance and tagged cheap Christmas gifts, DIY gifts, gifts for guys, gifts for handyman, holiday presents, stocking stuffers. Bookmark the permalink.